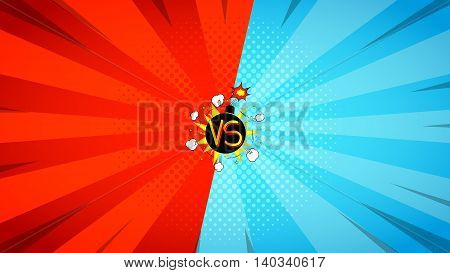 Versus letters fight illustration. Vector backdrop. Decorative background with bomb explosive in pop art style.